Hi everyone! I’m so excited and honored to be visiting today! I’m Valerie from Occasionally Crafty. I’m a busy mom like many of you, but I love to make things, so I squeeze in crafting- occasionally! 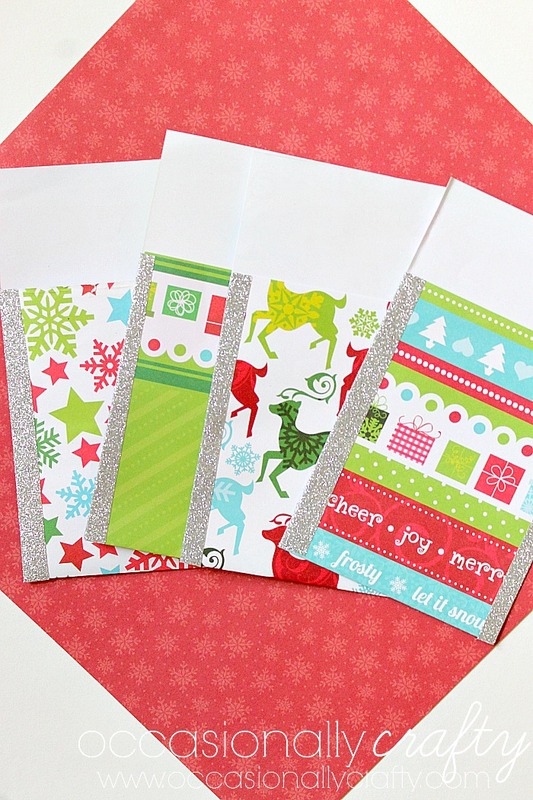 On my blog, you’ll find lots of simple but beautiful crafts and DIY projects, printables, recipes, and more. Dress up your next party table with these easy Glitter Tape Utensil Holders! My absolute favorite things to make are holiday and seasonal projects! If you, like me, have a holiday party or event coming up, you can add a festive touch to your tables with these super easy Glitter Tape Utensil Holders. People, this could not be easier. I almost feel silly writing a tutorial for this, but I made these for a party last year and got so many sweet comments that I knew I had to share them with you. For a visual, check out the pictures below the instructions. Step One: Cut your 12×12 paper into three 4-inch x 12-inch strips. Step Two: Fold your strips up about five inches, so there is about two inches of blank paper at the top. Crease firmly. 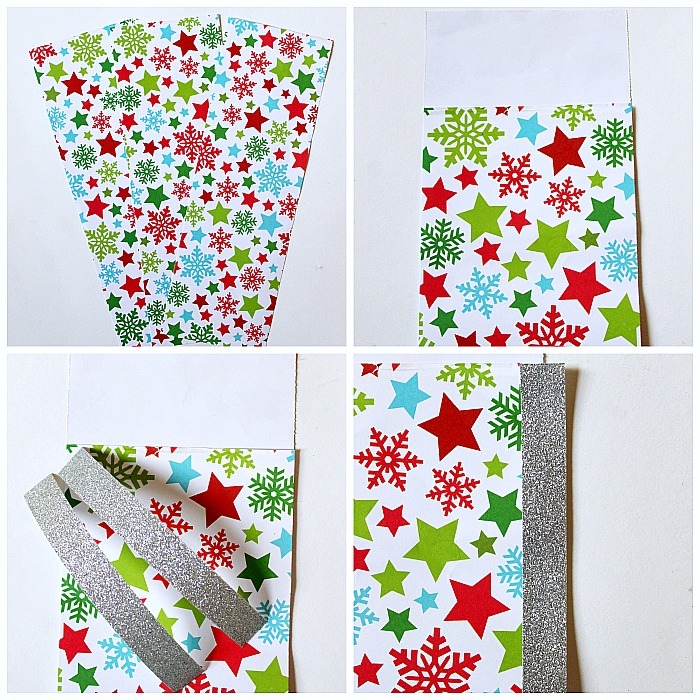 Step Three:Cut two pieces of glitter tape to match the length of your patterned piece (about 5 inches). 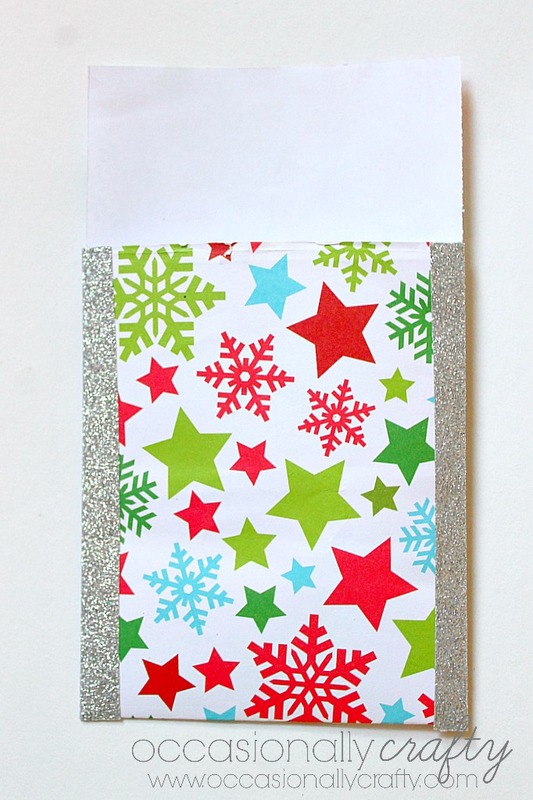 Step Four: Apply glitter tape so the middle of the tape is at the paper edge. Wrap it around the open sides, and press firmly into place on the front and back. These are so quick and easy to make, and with a pack of coordinating scrapbook paper, you can use these for any occasion. You could make these in fall colors for your upcoming Thanksgiving feast, too! Thanks so much for stopping by today! 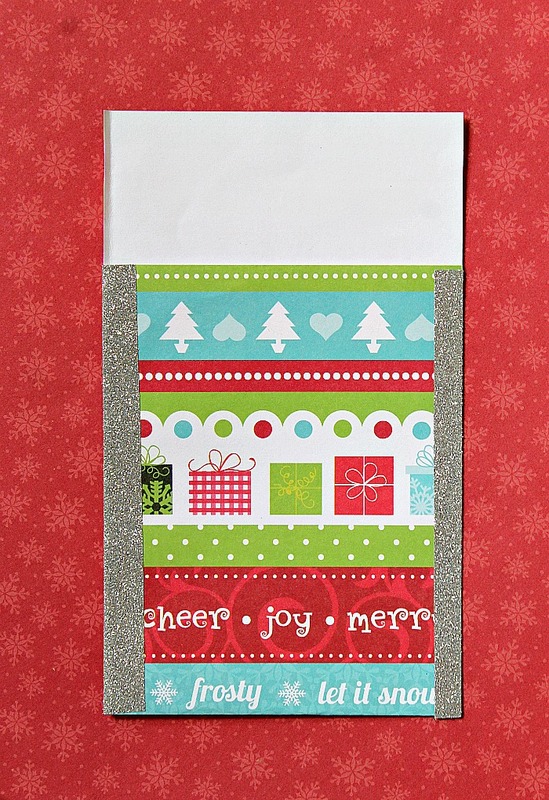 I hope you’ll come over and visit me at my blog, where I’m busy making tons of holiday crafts and decor! Happy Holidays! Thanks Valerie! I love this idea because it is so quick and easy to use for any occasion! I love this pretty Christmas Sheet Music Wood Slice project! And she has this easy Jingle All the Way Ornament you could make with the kids! And she has these Dutch Apple Pie Parfaits that would be perfect to serve up at Thanksgiving! Great Ideas — 18 Holiday Wreaths & Wall Art!